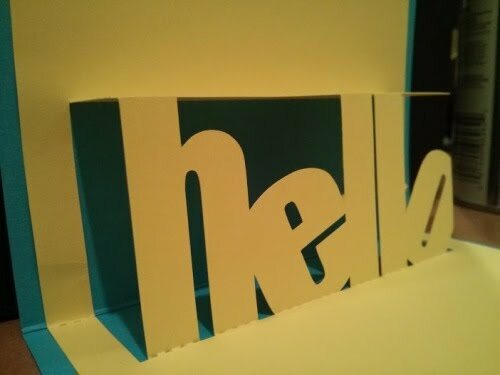 Today you will create a pop-up text card using Inkscape, cardstock, and the Cameo Cutter. The template has been sized to 5.5" wide and 9" long, to be folded in half, making a card 5.5" wide and 4.5" high. You will see red and black lines. When we process your final design in Silhouette for the Cameo Cutter, the red lines will be designated as cut lines, and the black lines will be scored, or perforated, for easy folding. 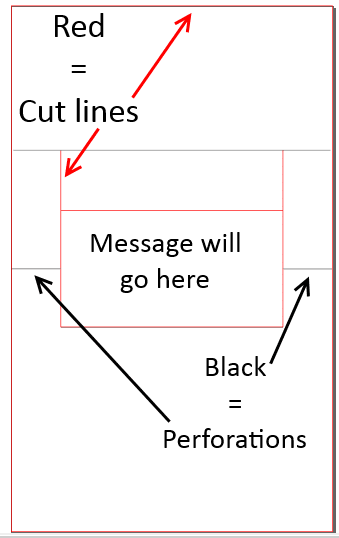 Your message will fit in the center rectangle. Once your message is typed, go to Path>Object to Path. 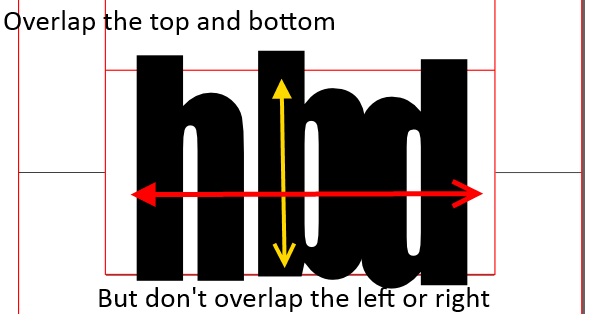 Object to Path changes a font file into path lines, which is a step you will always take when preparing Inkscape files for a vinyl cutter, or else your text will not appear in your design. 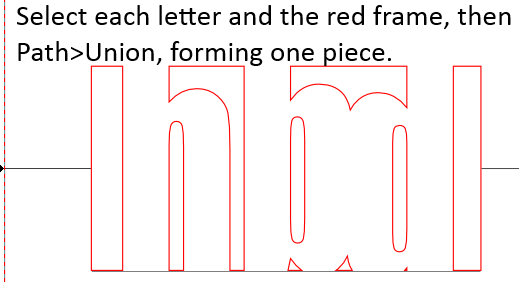 Select your letters and the red frame, then go to Path>Union to form one piece. To select multiple objects: hold down Shift as you click each desired object. If Union seems to have no effect, it may be because objects are grouped. Go to Object>Ungroup, then retry the Path>Union. Save your file as an SVG. This is the default Inkscape file format, and if you want to reuse or edit the file later, you will modify the SVG. Save your file as a DXF. Click OK in the dialog box with the default unit of mm and a checked box for Polylines. DXF is the file we will open in Silhouette Studio. We have also created a solid, blank card for the pop up background. Caution: The red and black lines are independent of each other. 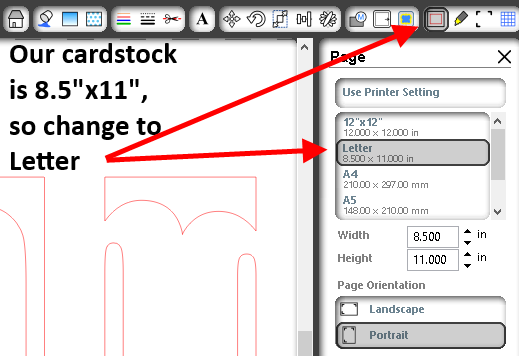 When you move or resize any parts, make sure to SELECT ALL so as not to misalign them. Check the size of your design, and make sure it is approximately 5.5" wide and 9" high, or close. It's okay if it's slightly smaller. Change the page size to letter size, reflective of today's use of 8.5" x 11" cardstock. 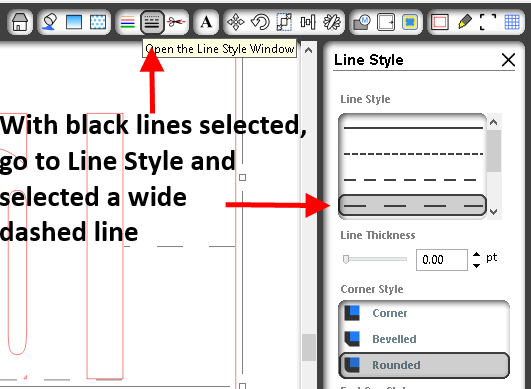 Select the black lines and change the line style to a widely spaced dashed line. 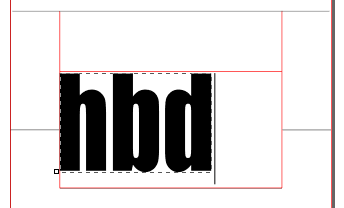 With the black lines still selected, change the cut style to Perforated. We're just about ready to cut! (If there is time, words or shapes may also be added into the solid space above or below the message, which will allow the background color to show through.